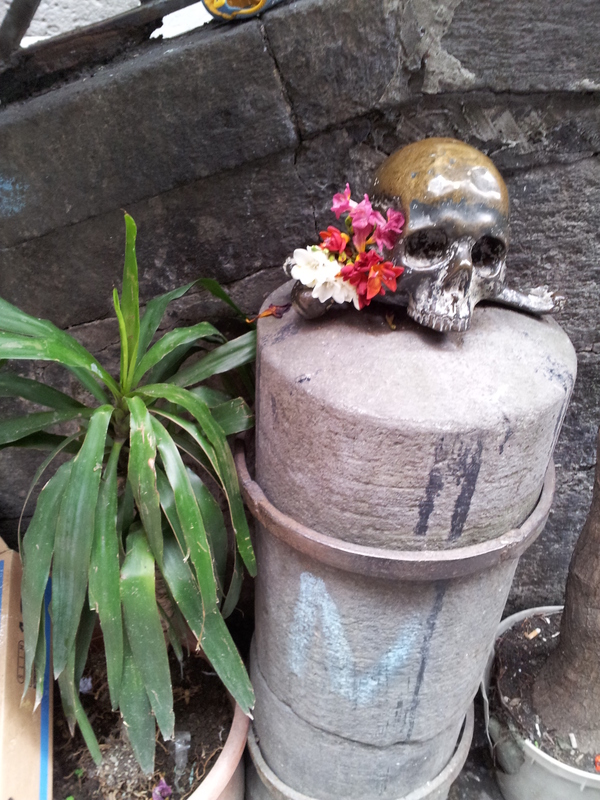 Naples in skulls | Where's Zoe now? I spent the Easter weekend in Naples. 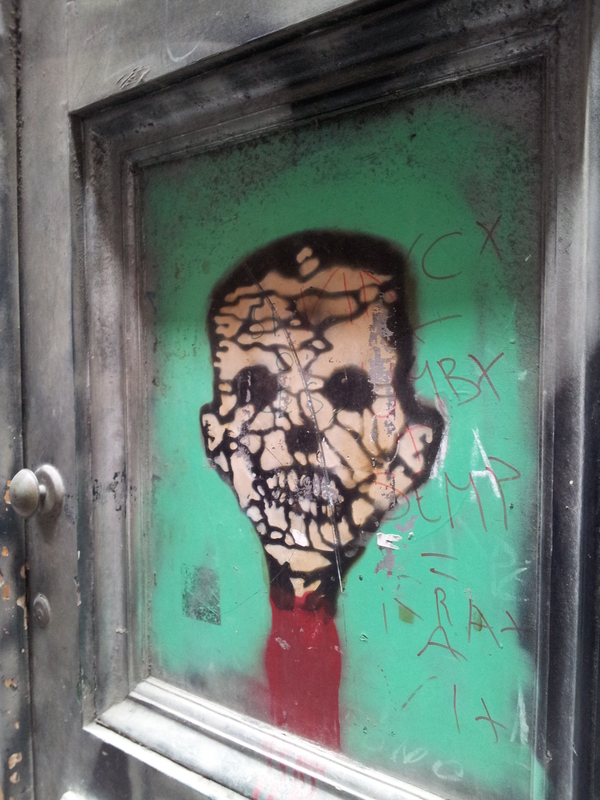 There’s a longer post coming soon, but for now, here are some macabre-themed photos. Outside a church in the old town. A little girl with her mother and an aunt stopped to have a look. “Rub it for good luck,” the mother said. The girl gave it a tentative pat, decided it was ok, then grabbed on with both hands. “Be careful, you’ll have too much good luck!” laughed the aunt. Creeeeeeepy. 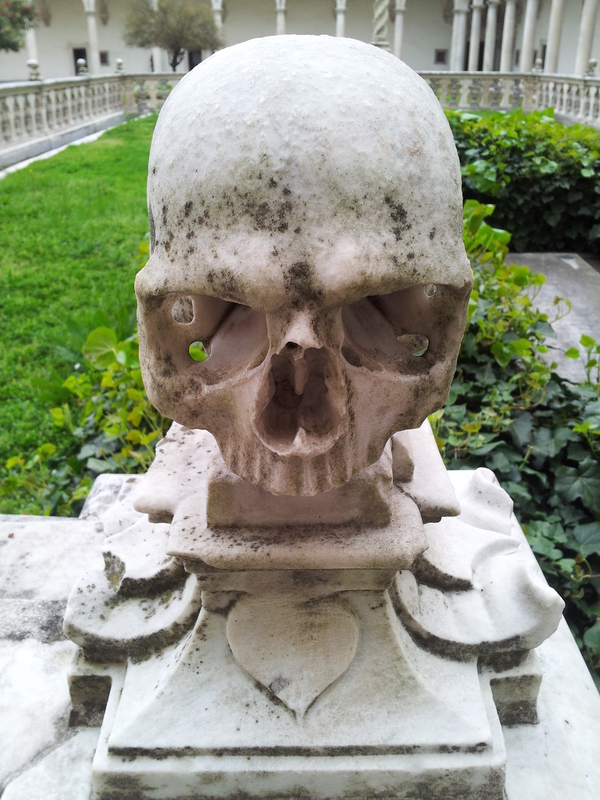 This was in the courtyard of the monastery of San Martino. Mosaic at the archeological museum. 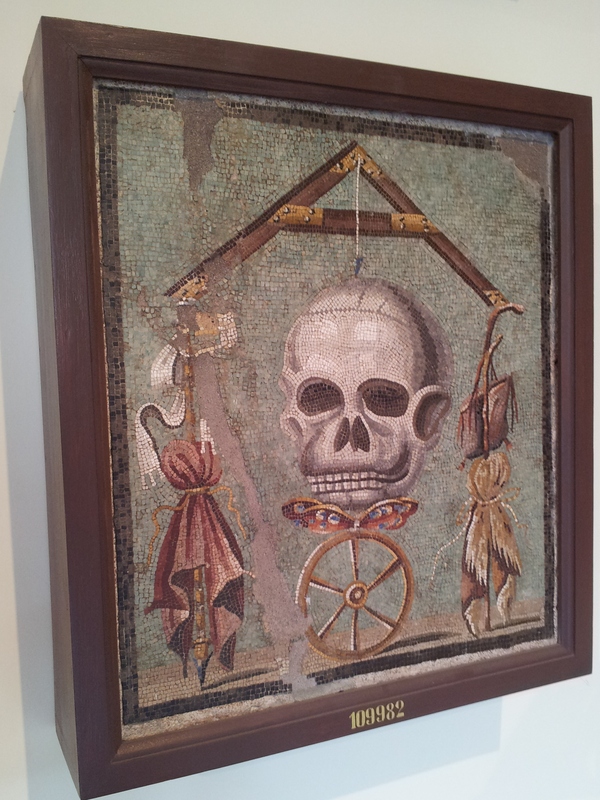 The craftsmanship on all these ancient mosaics was amazing (most of them were substantially less macabre). This entry was posted in Italy on April 19, 2013 by Where's Zoe Now?.